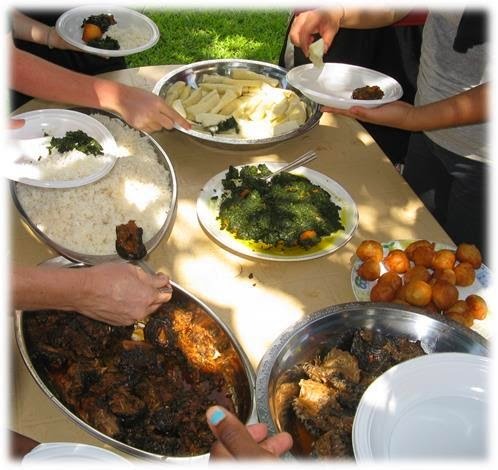 Students from the mission-run international secondary school here in our city often make ministry trips to local villages. Last weekend, Dan was asked to use our 4WD truck to help drive people and equipment for one of these trips to a village located a couple of hours south of the city. 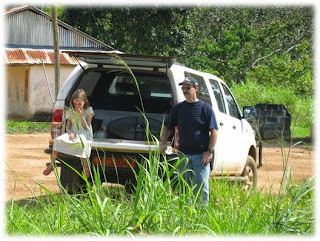 He took Michelle and James ‘along for the ride’ since it was a good opportunity for them to experience another part of Cameroon. They had a great time! 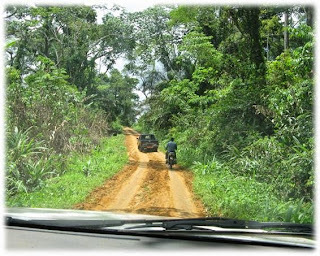 Once turning off the main highway, they drove another 20km down this dirt track through the jungle to reach the village. The student ministry team finished a well project and planted plantains for the village. Then the soccer team played in a locally organized tournament. Afterwards the drama team performed a few skits sharing the gospel with the people who came for the tournament. 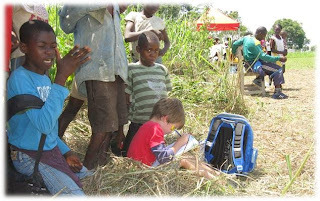 During the soccer tournament James got busy drawing and attracted quite a crowd. Michelle, on the other hand, guarded the truck. The trip back to the city in the afternoon was particularly exciting due to thunderstorms in the area, turning the dirt track into a mud track. J But they all made it home safely, and they all had a great experience. It was a blessing for Dan to be able to use our vehicle to help out the student ministry team in this way, and a blessing for the children to be able experience Cameroon outside of the city! Now that is what I call a field trip!